Keep what you earn and make an even greater impact! 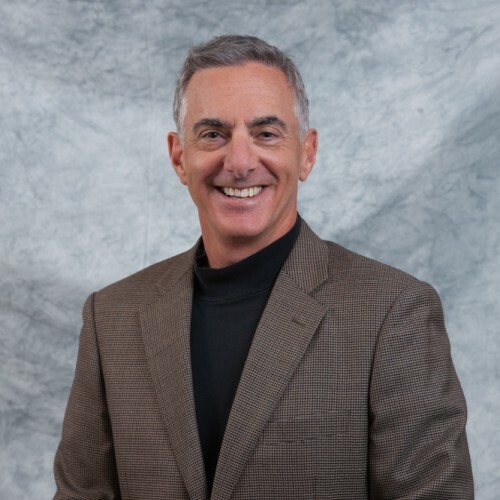 Bruce Frankel is an author, public speaker, the Wealth Consultant of Yerba Buena Wealth Advisors, LLC. With experience in international and domestic business issues and consulting, he is the co-creator of The Wealth Impact Process, serves as co-portfolio manager for the firm and is responsible for general business planning and management. With his deep knowledge of entity structuring, tax issues, and employee and executive benefits, Bruce is particularly well positioned to assist clients with business planning – from inception to transition. He also enjoys using his knowledge and experience to implement investment plans for successful business owners and executives that help them reduce their tax liability while also saving for retirement. Bruce uses storytelling and “frank” messages to engage the audience in a way other than the usual boring tax, business and finance speak you hear at seminars and conferences. Bruce is the author of a series of articles, Frankel-y Speaking: How the Sausage is Made in the Financial Services Industry. He also authors a blog called Frankely Speaking, with posts published bi-weekly. Bruce has unique and comprehensive experience in finance, marketing, and operations as he has worked in over 10 countries, with businesses of all sizes, including small family owned firms to large corporations. His educational background includes an MBA with Honors in International Business & Entrepreneurialism from the EDHEC Business School in Nice, France, a Graduate Certificate in Financial Planning from Golden Gate University and a BS in Hospitality Management from UNLV. He holds the coveted designation, CERTIFIED FINANCIAL PLANNER™ (CFP®) professional and is also an Accredited Investment Fiduciary (AIF®). He is an Academy member of the National Speakers Association, Planned Giving Counsel of Northern California, National Speakers Association, and is a board member of the San Rafael Little League. Walk away with other important information that is not usually taught in business school. The goal: Keep what you earn and make an even greater impact! The 7 Most Influential Planned Giving Trends… And How Concerned Nonprofits Can Take Action Now! Research presented uncovers the latest insights on the challenges non-profits face as they continue to fundraise in today’s environment, as well as key donor concerns, and how to respond appropriately. You will learn: ? What are the 7 Influential Trends fundraisers face today? What role do endowments play in securing a nonprofit’s future? Why are nonprofits essential to the economic future of our country? What is the media telling your donors and how is it changing their view of you? What rung does charity occupy on the donor’s Responsibility Ladder? What are Boards unknowingly doing to sabotage your planned giving efforts? What is the One Message that will get your donors’ attention? Is your website worth the time and money? What planned giving tools are the most effective today… and why? How do you find more willing and able donors with limited resources? The presentation has been described as “informative, interesting, and inspiring” by an Animals/Wildlife Development and Event Coordinator. This presentation is often attended by Executive Director, Planned Giving Officers and Development Directors of local and regional proximity. The 7 Most Influential Planned Giving Trends… And How Concerned Nonprofits Can Take Action Now was “very thorough with the right amount of data & story”, said a Social Services Major Gifts Officer. Advisory services offered through Yerba Buena Wealth Advisors, LLC, a registered investment advisor. The opinions voiced in this material are for general information only and are not intended to provide specific advice or recommendations for any individual. To determine which investment(s) may be appropriate for you, consult your financial advisor prior to investing. Find out more about Frankely Speaking at http://ybfp.com/.